Thick Hardcover, copyright 1938, 29th printing with 667 pages. 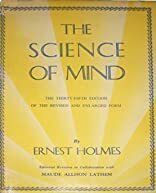 This inspiring book on the science of mind and spirit, has gone through thirty-two editions, is here presented in revised form with the text rewritten and more than three hundred pages added. It doen't stop with teaching you how to make people like you, but undertakes to show you how you may pilot your entire life. Change yourself! About Ernest Holmes (Author) : Ernest Holmes is a published author. 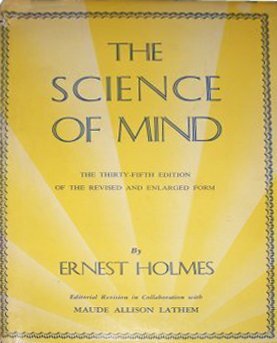 Some of the published credits of Ernest Holmes include The Science of Mind, The Science of Mind, The Science of Mind.